That Motown hedged their bets and released two Jerk records one right after the other isn’t too surprising; making money on the back of a faddish craze is a tricky thing, and you can’t blame the company for backing more than one horse in the hope that at least one of these things might catch. No, the surprise is that, having already had the Contours cut a Jerk record – a natural fit, given that they were Motown’s resident “dance” group in the first place – Motown then tasked Smokey Robinson and the Miracles with doing almost the exact same thing. The result is a mildly diverting, utterly forgettable piece of fluff, a glorified jam whose only real redeeming feature is giving Smokey a rare opportunity to cut loose on louder, faster material. Otherwise, it’s a total waste of everyone involved, and – not coincidentally – it ends up as the weakest Miracles single to date. This shares many similarities with the Miracles’ previous “rock out” on a Motown 45, the equally forgettable You’re So Fine And Sweet (Spike Whited, the Miracles’ touring drummer who co-wrote that song, even pitches in with another songwriting contribution here, as if to emphasise the connection) – but that was a B-side, a diversion, an excuse to show off a side of the group the non-concertgoing public didn’t often get to hear. This, on the other hand, is a banner single from one of Motown’s banner acts, in a year when Smokey had already given away to other people such killer songs as My Guy, The Way You Do The Things You Do, Better Late Than Never, You’re My Remedy, and Who You Gonna Run To (and with My Girl still to come); and even the Miracles themselves had come up with the goods during the year, Smokey turning in beautiful performances on both sides of the glass with I Like It Like That and Would I Love You. Compared to any of those, Come On Do The Jerk is an unfunny joke. Essentially, if the lovely That Day When She Needed Me is the Contours pretending to be the Miracles, then Come On Do The Jerk is the Miracles pretending to be the Contours, and coming off very much second best. Now, I’m not against the idea of musical genii making lunkheaded dance music, and this would be forgivable – cause for celebration, even – if it was a good dance record, but it’s not. Smokey sounds self-conscious, almost as though he’s embarrassed to be doing this, and the track’s energy level never really gets up to the Miracles’ own previous rockers like Shop Around or Mickey’s Monkey, never mind the best of the Contours. Indeed, the record’s actually relatively sedate from a vocal perspective, and it’s revealing to note that in a year’s time, the Miracles would write the far superior Going To A Go-Go as a direct replacement for the ageing Mickey’s Monkey in their live sets – clearly, Come On Do The Jerk was never up to the job. It’s just not something I really envisage ever coming back to. I don’t know whether this was ever included in any Miracles “Greatest Hits”-type collection, but they’d have to have scraped the barrel pretty damned seriously before this would be among the best available material to choose from – maybe it might find a place on Even More of The Best of the Miracles, Volume 6 or something, if everything else had already been used up. It’s not very good, is what I’m saying. It’s got a catchy little hook, and I can imagine it’s probably quite good fun when you’re drunk, but otherwise there’s really nothing to see here. A waste of the talents of everyone involved, wafer-thin and surprisingly ill-suited to its lead singer; even Smokey isn’t taking this seriously, so there’s really no reason we should bother. It took no little chutzpah, but yes Motown included this on …Greatest Hits Vol. 2 in January 1968. Imagine sublimely dreaming over the memories side one conjures with “Going To A Go-Go,” “The Tracks Of My Tears,” “I Second That Emotion,” “Ooo Baby Baby,” and “My Girl Has Gone,” to then land amidst this unfortunate collision. In 1974, it’s on the three disc Anthology also, but by the mid-90s, while the otherwise superb 35th Anniversary set neglected “Would I Love You,” it skips “Jerk,” and gives life again to its flip side, the only renewal it saw in 30 years. It’s not horrible, and one wants to quickly forgive Smokey a dud, because we know what greatness is to come and has come before, but this one was and remains dull. I like to think of this song as a time capsule. A cute novelty record hailing the arrival of one the 60s most popular dances. This isn’t one of my favorites, but I do enjoy listening to it. It has more of a rawness about it than most of the group’s numbers, and it sounds as if the group is having more fun than usual. I love the horns on this record, especially during the “Now snap your back…” bit. I give the song 5/10. I agree with what Rachelle says. Not one of my favorite Miracle records but when it comes on, I never skip it. And it is a time capsule. Actually, after the Larks tune, it’s my favorite jerk record. I’d rank it just above the Contours and it sure as hell beats Scott Walker’s jerk record. And, besides, it’s great to do the jerk to. I’d go with a 5/10. There was a day when I only heard the Miracles on the RnB station. The Tamla-Motown Revue toured the UK in 1965, and I saw the concert in London’s Finsbury Park Astoria. The Miracles were the last act on stage, and they were singing “Come on Do The Jerk”, when all of a sudden Smokey said “The Jerk came from another dance, you know – the Monkey”, and they all donned monkey masks and went into a performance of “Mickey’s Monkey”. This led into the finale when all the other acts joined them on stage. For this reason, I regard “Come On Do The Jerk” more fondly than perhaps the record deserves. perhaps until ‘The Composer?’ – What a string of unbroken glories lurks in wait after this completely unmemorable (but not detestable) song! I don’t think they’re all “gold” – there are a couple towards the end of the Sixties that have never made it near any Miracles mix tape I’ve ever compiled – but certainly none of them strike me as manifestly being duffers, unlike this one. Specifically, after the “Time Out” LP, I fast forward to “Tears of a Clown” (The 7″ U.S. version, Thank You) lol…But during 1964, in all fairness The Miracles didn’t even sniff the Top 20 with ANY of their releases, owing coincidentally (or not) to no Billboard R&B chart that year. Just before that chart’s disappearance and after it’s re-instatement, they were solidly in the top 5. “Jerk” did score a #50 Pop placement, it simply doesn’t transcend its 8 weeks on the charts. I don’t have a harsh regard for the song nor do I particularly like it; I simply don’t play it anymore. With that, I give it a “4”. I agree with most of your review but I find some of your insight on this, and in many of your other reviews, to be influenced by “presentism” – looking at past cultural events with present day eye glasses. No offense meant. The song was released during the popularity of the Jerk dance in the U.S. in ’64. As such, I find it just as good, and arguably better, than other Jerk records that came out. It was a great party record. As such, I rate it 8/10. I agree that it’s not the Miracles’ strongest release, but I disagree that it’s their weakest. Mighty Good Lovin in my opinion deserves that honor. “Presentism” is touched on in the comments to Don McKenzie’s “Whose Heart (Are You Gonna Break Now”. Presentism is a problem for anyone not quite old enough to have heard these originally. I was three at the time of this release, so it’s very likely I didn’t hear it. I did hear it in context with the other Miracles singles of the time on the ’74 anthology, though, and to this day I still think it’s well below standard for Smokey. It’s a thorny one, certainly – I make no bones about the fact I wasn’t there, and so if something is impressing me in context, that context is the tracks that lie around it on the Motown release schedules as I plough through it in order. Otherwise, I’m judging each track on its merits as heard today, rather than making allowances for how ahead of its time it was, or how much fun it was to hear at the time, or what have you. I can’t put myself in the shoes of a listener in 1964, because I wasn’t born for another fifteen years, and so any attempt to compensate for recentism on my part would be artificial. More artificial than going through the entire catalogue one by one, even. It’s confusing, and inconsistent, though, because if something sticks out like a sore thumb as being behind its time, then as a result of ploughing through in order etc. I tend to notice straight away and get wound up by it – even if by definition everything we’re discussing is dated to an extent by virtue of its being from 50-odd years ago, and thus it shouldn’t matter to me, it definitely does. I don’t really have an explanation for this, except that I’m a contrary sort and not seeking to upset anyone (I’m always quite happy to be disagreed with)! 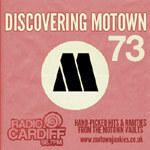 That someone born in 1979 (I trust my math is OK) can write with such discernment, eloquence and passion about Motown is a testimony to the timelessness of its best achievements – and to the enduring fascination about the whole process which produced this great music. If this be presentism, we’d be fools not to make the most of it! This 1945-born codger is continually grateful, even when passionately in disagreement. I agree in the context of the Miracles discography.. it’s one of the weaker tracks. But in the context of 1964 releases and the dance genre, I find it to be quite good. “Great beat and you can dance to it,” as was said. I heard this at the time it was out. And as I always looked forward to each subsequent Miracles release. Needless to say, I was sorely disappointed. I think it’s my least favourite Miracles’ cut. Out of curiosity, was it a party record in the U.K.? It was in the urban U.S..
Yep! It was played at the parties I attended, in Chicagoland, as much as any other Miracles’ record. That’s exactly the beat that was hot at that time. If you could dance to it, that’s just about all you needed in terms of up-tempos. It was ballads, for slow dancing, where the discrimination and choice came in, and quality of the songwriting and singing became important. Hi ya Robb. Sorry to be gone so long buddy. Been dealing with some health issues. Have been enjoying reading everyone’s comments. Yeah, not one of Smokey’s best but I don’t think it is all that bad. I first heard ir on the Greatest Hit’s Vol 2 album when I was a mere lad of 10! “Going to a Go Go” is a much better dance tune but this one will do I guess. Hope you have been well my friend! I could only get through 41 seconds of this madness. Aw come on! The Righteous Bros rocked! This is NOT one of their best performances but they did some great R&B stuff on their first record label, Moonglow. I actually like their early stuff (“Little Latin Lupe Lu”, etc) even better than the Spector stuff. Bill Medley (the tall guy) is one of the few white men who could sound like Ray Charles! Hi Landini,- hope you are in good health. I agree 100%. I also like The Righteous Brothers’ earliest R&R/R&B Moonglow cuts better than their Spector Philles and MGM cuts. The Righteous Brothers would outdo Pat Boone any day of the week, but this kind of thing must have went over better then than it looks now lol….I guess any publicity is good publicity when collecting royalties! YOU CRACK ME UP! Including that video of the Righteous Brothers singing Come On Do the Jerk certainly proves that someone was capable of doing a worse job of a fairly bad song than The Miracles. Still…on the original there is that Funk Brothers beat. I would say that was the only thing that merited 3 stars. Thanks for the chuckle! The original track was recorded in California, so it is quite possible that the Brothers never came within 2,000 miles of any contact with this recording. Its funny how people keep thinking the jerk was a “stand still move your arms around” type of dance. If you were not popping down south, you werent doing nothing!! You knew you were doing it right if after about 10 minutes you started getting cramps. The misconception may have come Billy Gordon’s instructions in “Can You Jerk Like Me. In the first verse he sings, “Your feet don’t leave the ground.” In verses two AND three he demands, “Like I said, the feet don’t move.” As an admittedly terrible dancer, nothing he says would have helped me. Sorry to do this to the most of you that HATE The Miracles’ “Come On Do The Jerk, but, WOW, did this song get a lot of video mileage, or WHAT?? First, you have The Righteous Bros. doing this widely despised song, but, now, I’m pleased to present to you, in all it’s ’60’s glory, the Detroit – based dance party show TEEN TOWN ,that, in one of their episodes, spotlighted the MOTOWN STORY. THE MIRACLES , Motown’s first group, are spotlighted and interviewed, and they sing 2 songs. Guess what ONE of them is ? Oh baby! Smokey and guys have some routine eh? topkat – thanks for posting this! It’s priceless. It’s the real thing (complete with commercials) Surprised something like this survived in its entirety. Great to see the Supremes singing a live version of Come See About Me. It’s an amazing time to catch Motown , just as they were about to go supernova. I do believe that , had “Jerk” been released RIGHT AFTER “Mickey’s Monkey”,it would have been a FAR BIGGER HIT, (at least Top 25 instead of # 50) and much more fondly remembered today, the group having “stricken the iron while the fire was still HOT” . The fact that it wasn’t proved to be a company misfire, and the basis for all of these negative comments. The song really wasn’t THAT bad. 6 of of 10 for me . I agree that 3 is way too low. Just the great Funk Brothers background tracks are worth a “5” on their own. This shows you how great The Miracles were, if almost all of their cuts are 8-10, and their run-of-the-mill throwaway cuts are 7s, and their absolute worst is a “5” or “6”. Hey, Robb, and Bob Moga, if you are still following the growing and continuing commentary on this site: Thanks to Topkat’s video enclosure, we have been able to solve one of the mysteries that we delved into in the comments to Song #43 “Shop Around,” and that was the location where the video of that version originated. It was the Teen Town show. Check out the background behind the group. If you view both videos consecutively, you see that the the Miracles are lipsynching 2 different versions, and the one in Topkat’s video is the one on my original 45 purchased in NYC. Amid all the back and forth discussions we had back on #43, we never did come to a decision on which of the several versions of that song is the one on the other video. Maybe a re-examination of both videos will aid in arriving at a definitive conclusion. Hey Abbott, GREAT to hear from you after sooo long! How’s your health holding up? Great I hope. I saw your comments about this video and tried to give it a watch. Couldn’t find the part you were referring to (maybe I got the wrong video). But this is ABSOLUTELY from Detroit. That’s Robin Seymore as host. He was a popular Detroit DJ and moved from Detroit radio (I believe either WKNR or WXYZ) to host the TV show I mentioned to you in earlier posts — SWINGIN’ TIME — on CKLW/Windsor TV. His Detroit radio station was upset and gave him the ultimatum to drop the Canadien (competitors) TV show or leave. He left for the TV show. Now I don’t know if this “Teen Time” show was Detroit based for his then radio station or if it was the 1st name given to the show by CKLW television and later changed to “Swingin’ Time”. But it’s absolutely Detroit area based and thats Robin Seymore. He was forced out in the later ’60’s for younger “talent” and a CKLW jock named Tom Shannon took over for a couple years leading into the early ’70’s. Lack of viewership & changing times led to it’s cancellation about ’71 or ’72. That plus the radio station began changing it’s format (as they all did with the advent of FM) and Shannon moved on. Glad you’ve placed in show you saw the Shop Around video on but I must say it’s likely you’ll never nail down the uptempo “version” of Shop Around that The Miracles performed. It could have been done anytime up thru what- 65?. By then the song was re-recorded and put on so many “compilation” albums that it may be from any one of those. But GOOD to hear from you again my friend. Best of luck and best of health! I read many times that “Teen Time” was filmed in Detroit, but also read that it was filmed in Windsor. It was certainly shown in Canada. I agree that it was Detroit Area based. I doubt that Robin Seymour drove all the way to Toronto to film it. I’m pretty sure that both “Teen Time” and “Swingin Time” were sponsored by CKLW. First, regarding my health, I continue going through rounds of PET-SCANs, CT-SCANs and MRIs as the doctors persist in their search for things they have not a yet found, which is fine with me. Three past tumors were quite enough. The best thing about Motown Junkies is the relief it affords from the anxiety and stress associated with all those procedures. Now for the business at hand. To backtrack, there are 2 videos to which I refer, both contributed by Topkat. The first video can be found within the 25th comment that accompanies the review of Song #43, “Shop Around.” I will refer to this video as Video A. The second video lies within the 34th comment just eight comments above the one I am now writing. I’ll call that one Video B. Whereas Video A contains only the Miracles performing “”Shop Around,” Video B includes an entire 58+ minute episode of the program “Teen Town,” not Teen Time or any other name. The title clearly hanging from a back wall shows the name to be TEEN TOWN. So let’s dispose of that issue. Within Video B is another performance of “Shop Around” by the Miracles, and I am not referring to the short introduction as Video B begins, but the complete song further along in the video. If you view both videos, it will not be difficult to discern that the versions of “Shop Around” are different. Both are the faster L versions, but the easiest place to notice the difference in versions is during the final 20 or fewer seconds where Smokey does the “my son” lines. In Video A, he sings my son very abruptly. If I could visualize the sound in words, it would look like this: “myson.” In Video B, the my sons are sung in a cadence, as if they were being chanted. That makes the version in Video B appear to sound like the L1 (1 version, which The Complete Motown Singles refers to as the national version. This song is far from my favorite within the Miracles’ catalog, but I like the rhythm, and it certainly was a song for that time when the Jerk was enjoying a degree of notoriety. I’ll give it “6” Jerks and not listen to it again for a couple of years.